The 16-day shutdown cost an estimated $33 million in lost tourist money around the Great Smoky Mountains National Park. The government shutdown hit business owners across the country in unexpected ways. Rafting outfits, wedding photographers and firms with government contracts were examples of small businesses that took a hit during the 16-day shutdown. Now that the impasse has ended, they're relieved -- but angry at the unnecessary toll it took on their businesses. The shutdown mandated the closure of the nation's national parks, including the Great Smoky Mountains, which covers more than 800 square miles in North Carolina and Tennessee. It's the country's most visited national park, and tourism brings in millions of dollars to area businesses every year. Steve Morse, an economist with Western Carolina University, estimates that the first 10 days of the shutdown cost more than $33 million in lost visitor spending to businesses located within 60 miles of the park. "About 80% of that money would have trickled down to restaurants, hotels, souvenir shops, gas stations, rafting and other outdoor recreational businesses," said Morse. One of those business owners, Jeff Smith, estimates that he lost $20,000, or 10% of his annual revenue, because of the shutdown. "That money is gone. We can't recover it this year and that's a shame for a small business like ours," said Smith, who runs the Jonathan Creek Inn in Maggie Valley, N.C., 15 minutes from Smoky Mountains National Park. October is especially crucial for the inn because it's the peak tourist month. 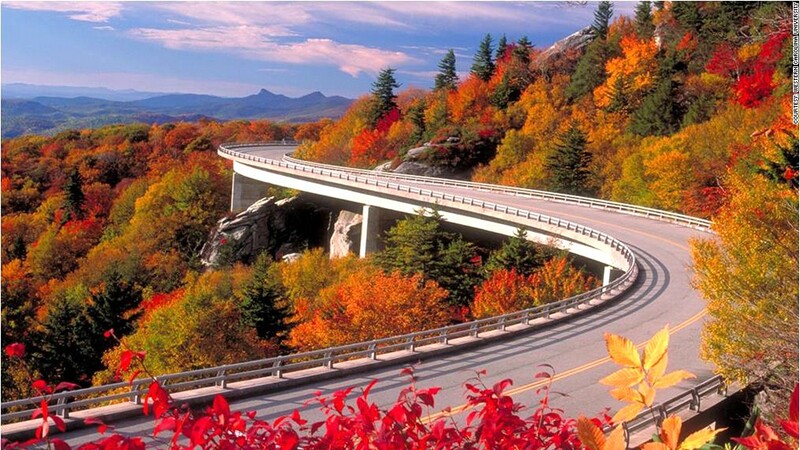 Tens of thousands of tourists come from surrounding cities to take in the fall foliage. "We're just hoping that the leaves are still vibrant and the rest of October is good," he said.